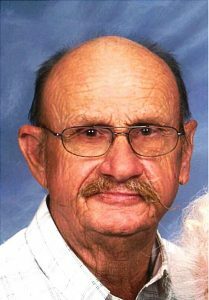 Phillip Hunsche, 86, of Rising City, died Tuesday, May 17, 2016 at David Place in David City. Arrangements are Pending at Kracl Funeral Chapel, David City. David City American Legion and V.F.W. Phillip was born January 3, 1930 near Ulysses, Nebraska to Frederick and Edna (Fleek) Hunsche. He graduated from Rising City High School in 1947. Phillip enlisted in the United States Navy on March 19, 1951 and served 7 years, being honorably discharged in 1958. On October 23, 1955 he was united in marriage to Margaret D. McMeekin at the Methodist Church in Rising City. Phillip had lived most of his life in the Rising City area. He farmed and raised livestock and also worked as a rural mail carrier for 23 years. He and Margaret enjoyed country music and attending country music festivals. He also loved his animals. He was a life member of the Disabled American Veterans Pawnee Chapter #20. Phillip is survived by his wife Margaret of Rising City, son Mark Hunsche of Bellwood, Daughters Marvis (John) Bruckner of Salina, KS, Marla (Jim) Svoboda of Rising City, Grandchildren, Matthew (Chesna) Bruckner of Wichita, KS, Andrew Bruckner of Lincoln, Bryan Bruckner of Salina, KS, Steven (Elizabeth) Svoboda of Lincoln, Megan Svoboda of Rising City, Melissa Svoboda of Rising City, Miles Svoboda of Rising City, great grandchildren, Braylee Bruckner, Hadley Svoboda both of Lincoln. Twin sister Phyllis Suhr of Seward, Sister-in-law Mary Lu Perry of Shelby, Brother-in-law David (Cindy) McMeekin of Minnesota, Many nieces and nephews. He was preceded in death by his parents, sister & brother-in-law Loris (Gilbert) Rerucha, brother-in-law Lloyd Suhr.